Michelle Garner keeps two llamas in her field with her chickens and has seen them chasing off foxes and dogs that have entered the field. 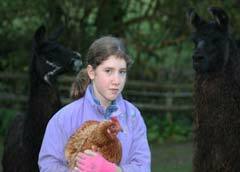 She tells us a little more about her llamas and how they can protect chickens from predators. 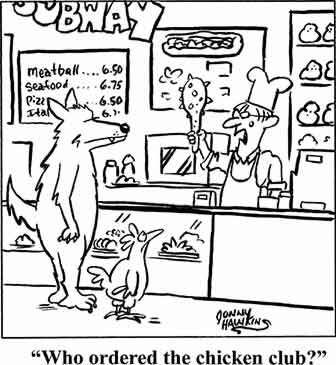 So you want some hens, but you have a family of foxes next door? You have a large flock and can’t keep them in a secure run? Your land makes electric fencing difficult and unreliable? There is another solution – ever thought of llamas? Well first let’s get this one out-of-the-way, no, they don’t usually spit. They might spit at each other when play fighting gets out of hand, or when they feel threatened and cornered (vets are good at getting that response from mine!) but rarely directly at people, more often a warning shot into the air. A llama that spits randomly and without provocation has had bad experiences with people and is unusual. Now, if you have never considered llamas, this might seem a bit of a leap, but if you have a smallholding, or an acre or more of grass keep or grazing, they make a lot of sense. And if you also keep hens or sheep, they will guard hens and lambs from foxes and dogs too. Llamas (and their smaller cousins, alpacas) are members of the camel family and originate from South America. The alpaca is bred primarily for its fleece which grows continually, and so needs annual shearing. Although they also have guarding instincts, due to their size they are not generally as well suited to the job as llamas, and the need for annual shearing adds to the husbandry tasks associated with them. 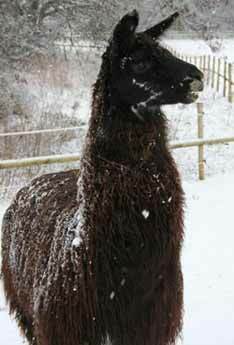 Indeed, in America many alpaca farmers use llamas to guard the alpacas from coyotes and even bears! If you are primarily after a guardian, then a llama is the best suited to the job. The llama can be kept out all year, in all weathers, appreciating a simple field shelter or natural shelter from trees to offer some protection from very wet or very hot weather. About an acre of land in addition to the land required by the stock to be guarded will support a llama. They are hardy and generally healthy, needing only the same vaccinations as goats and sheep, and not suffering any ‘exotic’ diseases. Indeed, they are less illness and accident prone than sheep (mind you, what isn’t?!) not being very likely to suffer fly strike or lameness, and can be contained by standard post and rail fencing. They have soft padded feet, and so are very gentle on the ground and eat less weight for weight than a sheep. A llama can live over 20 years, and their working life as a guardian lasts about 10 to 12 years. They do not need shearing, unless a heavily fleeced animal is chosen, when shearing every two years might be required to prevent matted animals over heating. Nails should be checked regularly, although many never need trimming. Not every llama makes a good guardian, just like not every Labrador puppy can be a guide dog. And not everyone who breeds llamas has the expertise to recognise and rear the ideal guardian llama, so it is important to visit many breeders and websites such as that of the British Llama Society which has links to breeders all over the country. 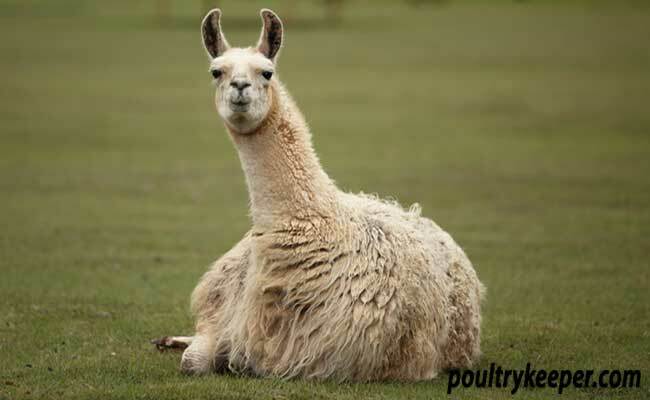 Although generally ‘pet’ llamas should be kept in groups of at least two, the guardian llama works alone, being brought up to consider the hens, sheep or other animals in his field to be his ‘herd’. The guardian llama is a gelded male, gelded at the right time for the job, which has been brought up properly with other llamas, and to be friendly yet respectful towards people and other livestock including familiar dogs. He will keep his charges together and keep them in sight, and, if a predator such as a fox or an unknown dog, come onto his territory he will approach with his head held low to the ground, gathering speed as he approaches. This is usually enough to send the predator packing, but if the llama gets close enough they will also strike with their front legs, and are capable of unique growling and gurgling noises. I have two llamas, bought as pets not guardians, and I have seen them chase foxes and a dog from their field. They do take a great deal of interest in the hens, and the hens, being ex-battery birds, will chase the llamas as much as the llamas try to herd the hens! Llamas are great as pets if you have the land to keep them. They are not usually cuddly animals, and learn to tolerate physical contact with people rather than enjoy it. They are aloof at times, yet inquisitive and gentle. They are great fun to take for walks, and generally lead very well if taught properly and kindly from an early age. And if you have a llama, or start looking into llamas, you will discover a whole community of llama keepers out there who have been keeping these wonderful animals a big secret!